Most brokerage firms are licensed with ( FINRA ) The Financial Industry Regulatory Authority. The NASD requires its members to arbitrate customer disputes. Also, most brokerage firms require clients to sign arbitration agreements. Take a look at your client agreement. More than likely you will see an arbitration clause buried in the fine print at the end of the agreement. What is Arbitration: Arbitration is a dispute resolution mechanism to help determine if aggrieved parties are entitled to recover damages. In arbitration, an impartial person or panel hears all sides of the issues as presented by the parties, studies the evidence, and then decides how the matter should be resolved. Arbitration is final and binding, subject to review by a court only on a very limited basis - Florida mediation arbitration. What is Mediation: Mediation is a voluntary process in which an impartial mediator is appointed to help the parties negotiate a settlement. In mediation the parties to the dispute are active participants and both points of view are heard. No settlement will occur without the agreement of both parties. Mediation involves no risk, since if a settlement is not reached, either party may still take its claim to court or to arbitration. Your lawyer can attend the mediation with you to assist and advise you in your negotiation. The process is confidential and no transcript or record is kept. 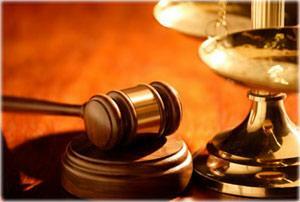 - Florida mediation arbitration. From the Enron collapse to the dot-com crash, stock market scandals have cost millions of innocent investors billions of hard-earned dollars. Those who have lost money often think they have no recourse to regain what they have lost, but as market professional Joseph E. Meyer points out, they may be overlooking a very important tool - Florida mediation arbitration. As a professional on Wall Street since 1972, Joseph E. Meyer has been an Industry Arbitrator and Mediator with the FINRA. He has appeared on national television as an advisor on shareholder rights with ABC News, ComCast Cable Network, and Time Warner Cable. Meyer's experience qualifies him as a seasoned pro in the field of investor rights and mediation. "Mediation and Arbitration," Meyer says, "has been upheld by the Supreme Court as a fair, equitable, and efficient method of settling disputes in the securities industry. Today, almost one in two American households owns some kind of stock." Notwithstanding the popularity and even the necessity of investing these days, Meyer says, people still aren't aware of their rights. "Brokers and brokerage firms are not perfect. Whether intentional or not, it is easy for investors to be misled. It happens very frequently, but less than 1% of the investing public ever pursues a claim for restitution of a market loss. People just don't know what steps they can take, and that's very unfortunate," says Meyer - Florida mediation arbitration. As a matter of policy FINRA offers Mediation to all parties in disputes files within their jurisdiction. There is an amazing 90% settlement rate of all claims submitted. "Should mediation fail, the investor has the right to proceed with an arbitration claim, so nothing is lost by agreeing to mediation. Plus, investors have the right to refuse any settlement offered by the broker," says Meyer. Even with arbitration, the investor has a 55% chance of receiving an award still better than a one in two chance - Florida mediation arbitration. The benefits of the mediation process are many. The Mediator, chosen with input from the claimant, facilitates the negotiations, and since Mediation is voluntary, either party can end it at any time. "Both parties have a vested interest in a positive outcome, and Mediation ensures better control for both sides," says Meyer. Florida Mediation Arbitration - Meyer & Associates a name you can trust.